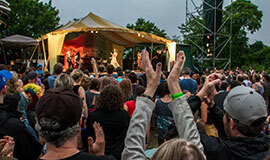 Clearwater's Great Hudson River Revival '18 takes place June 16&17 along the banks of the mighty Hudson at the beautiful Croton Point Park in Westchester County, NY. 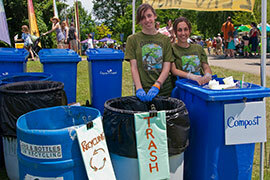 The Clearwater Festival is the country’s oldest and largest music & environmental festival, and as such, strives to be a zero waste event and limit the amount of material entering the waste stream. 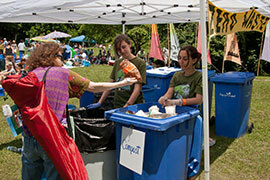 All throughout the Festival are Zero Waste stations where recyclables and compostables are collected separately from trash. 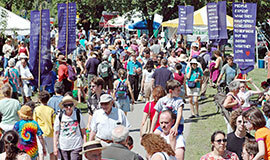 Clearwater Festival vendors are required to use compostable serviceware and provide compostable utensils, napkins, plates, cups, and other items necessary for the consumption of food items being sold. Many of those items can be found right on this site and Eco Products is offering access to special pricing exclusively for Clearwater Festival vendors.